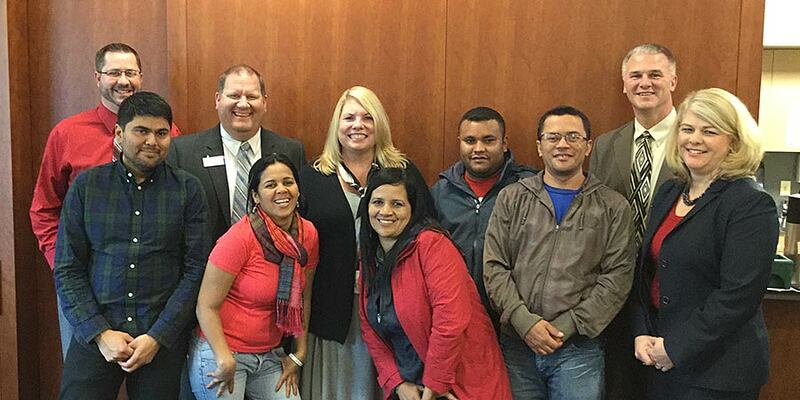 TwinStar managers welcomed a traveling contingent of employees from Cecosesola Credit Union in Venezuela in November. The purpose of their visit was to gain knowledge about American credit union operations and to take some best practices home with them. After meeting with them for several hours, we found that we learned almost as much from them as we shared. Credit unions in Venezuela operate in much the same way that American credit unions do, except that the organization can actually include many other types of businesses. Cecosesola operates agricultural businesses, funeral services, housing and child care facilities. The credit union came along as a way to help Venezuelans finance their small business activities. Visits like these are one of the most unique aspects of credit unions. Credit unions both domestically and internationally cooperate to build better systems so that we can all return the most value possible to the members. Below is a short video that highlights many aspects of the credit union difference. Happy Holidays from all of us at TwinStar Credit Union.